Even though the Indian tribes in California have been resisting the move towards online poker regulation in their state, it seems as though there has been a breakthrough or progression in their stance. For the first time, publically at least, the Indian tribes are keen to say that they would be willing to see Californian residents enjoy online poker from the comfort of their own home. There is one caveat though and this is that the Indian tribes would be the only people who would be allowed to offer online poker and casino play in the state. This is certainly something that will increase the debate on the topic of online poker and casino play in the state. The tribes intimated in April of 2014 that they would soon release a statement and it took them around a month to come up with something. 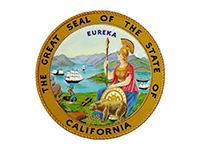 The tribe points out the law in California, which was enacted by the people of the state, that they are the only people who should be able to provide this service. If this came to pass there would be a significant number of firms who are blocked out of the state, so you can imagine that not everyone would be happy with this idea. There will be poker players who are keen to play any form of online poker provided by anyone but not everyone would agree that this is a good move. Players may cite a lack of competition as being bad for them and firms wouldn’t be happy if they were unable to enter the market. 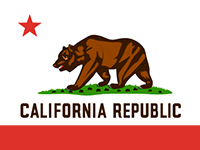 However, the state of play in California is that the Indian tribes are saying they will withdraw any opposition they offer to online poker in California if they are allowed to offer it to players. Clearly the Indian tribes have a great deal of power when it comes to the gaming industry in the state but it is not as the casino and poker companies are completely powerless. There is also going to be no way that these firms will sit back and let someone else take this entire market. While there is hope that this announcement will see progression being made with respect to online gaming in the state, there is no reason to think that anything is going to move too quickly too soon. This may mean that players will not be able to benefit from a Full Flush Poker download too soon but hopefully there will be an option at some point in the near future. There has been a growing demand for online poker in California this year and this move is likely to increase the level of debate and discussion about the topic.